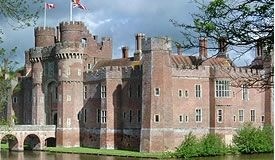 In conjunction with Herstmonceux Castle I have arranged a wine-tasting and typical Piemontese dinner in this historic setting. The wine-tasting will include Barolos and Barbarescos (dubbed the King and Queen of wines), made by several of my passionate and dedicated neighbours and I can promise you that they are exceptional and not found in your local supermarkets. The price is £49.50 inclusive of dinner, wines and VAT and is strictly limited to 50 places.